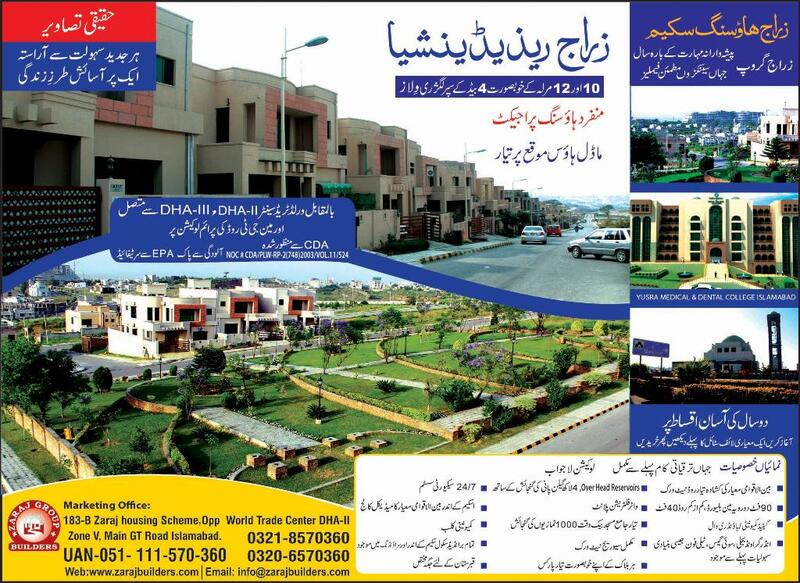 According to the notice, the society has come to know that some dealers are offering bookings of sector F plots in CBR Town Phase 2 Islamabad without consent or authorization from the society. CBRECHS has not given rights of selling or marketing of plots to any individual or marketing company, so all such bookings are fake/unauthorized. The society reserves the right to take legal action against all those dealers/marketers who are offering such fake plots for booking. 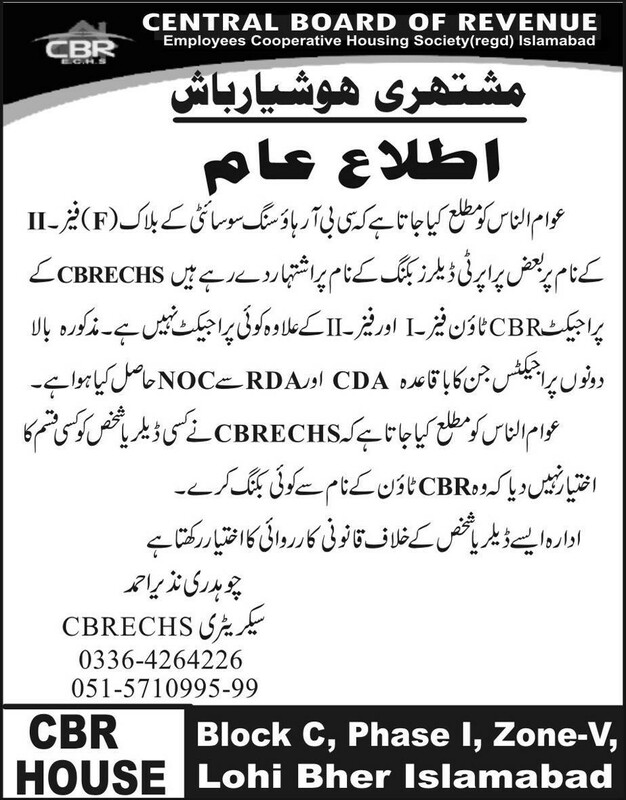 CBRECHS notice further reads that the society consists of CBR Town Phase 1 & CBR Town Phase 2, which are registered under RDA & CDA and have proper NOCs. There is no other venture of CBRECHS, and no company is authorized to offer plots for booking in CBR Town.